We all are too familiar with how bureaucratic and cumbersome the government has grown, and citizens too often feel overwhelmed when trying to deal with federal agencies. This includes everything from expediting passports to helping resolve tax returns stolen by identity thieves to convincing the Social Security Administration you are actually still alive! Our professional staff of caseworkers helps Ohio constituents every day in our congressional office with problems like these, and we may be able to help you too. While we cannot override the decisions of an agency, our office can act as a liaison between you and your government to help get answers. Call us at 513-474-7777 or visit www.wenstrup.house.gov. Passports are a common issue. Nobody wants to miss a once in a life-time trip abroad, whether a week of mission work or an anniversary celebration, because of passport issues. Our office can help expedite your passport processing or inquire on a status update to help make sure you have it in hand before your departure date. Try not to wait until the last minute! We also facilitate communication with the IRS – a stressful time for anyone. While I cannot change tax laws with a wave of our hand, we can help get to the bottom of outstanding balances. Recently, our office assisted a constituent receive their tax return which had been stolen by identity thieves. Through the work of our caseworkers and the IRS, the constituent received her tax return in full and steps were taken to help prevent future complications. The Department of Veterans Affairs has left a lot of veterans frustrated in recent years. It shouldn’t be this way. While we continue reforming the VA in Congress, our office can help veterans in getting eligibility determinations for health care and other pending claims. One of the most rewarding areas is obtaining lost military medals for our nation’s veterans. Last year, our office tracked down medals for over 10 veterans, some living and some who have passed away. One was Master Sergeant Donald C. Fleming, a World War II veteran who had passed without receiving the commendations he had earned while serving in the Army. After working with the National Archives, the medals were presented to Mr. Fleming’s three daughters, who are now at peace knowing that their father’s service to the United States has been properly recognized. Lastly, if you are planning a visit to Washington, D.C. this spring or summer, our office can give you a tour of the Capitol and set up tours at other landmarks, including the United States Treasury, the FBI, or even the White House. I encourage you to plan ahead – while the Capitol tour is almost always available, some tours, like the White House, require at least 3 months’ lead time. As your Representative, it is part of our office’s role to help you in any way possible. If you need help with any federal agency, please call the 2nd District’s office at 513-474-7777 or visit www.enstrup.house.gov/constituent-services. I look forward to helping. 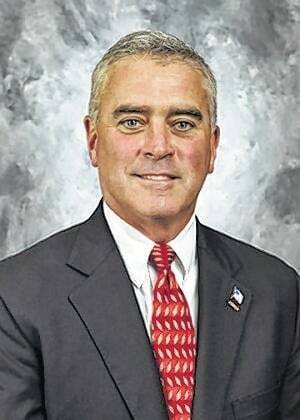 Congressman Brad Wenstrup represents Ohio’s 2nd District in the U.S. House of Representatives.